The US Department of Agriculture’s mid-year cattle inventory report, along with the monthly cattle on feed numbers, will be released Friday, July 20, 2018 and it is one Kansas State University Extension Livestock Market Economist Dr. Glynn Tonsor says is worth paying attention. 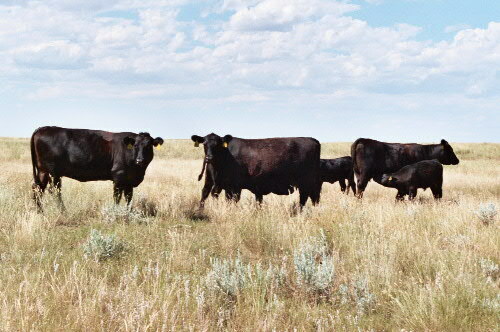 He shared with Radio Oklahoma Ag Network Farm Director Ron Hays recently some of his predictions and analyses of the impact the upcoming report will have on cattle markets, based on pre-report estimates issued by the Livestock Marketing Information Center. The LMIC is also projecting that heifers being held for replacement to be off about 4 percent. That would be about 4.5 million head and consistent with most people’s expectations in that interest in expansion has slowed. In addition to that, LMIC’s projection for the next calf crop (based on the prior year’s breeding efforts) is estimated to rise as much as 1.4 percent - putting the industry at approximately 36.3 million head, making that the largest calf crop since 2007. Listen to Tonsor offer his predictions about what impact the upcoming mid-year cattle inventory report from USDA will have on the future of the cattle market for 2018, with Ron Hays, on today’s Beef Buzz.